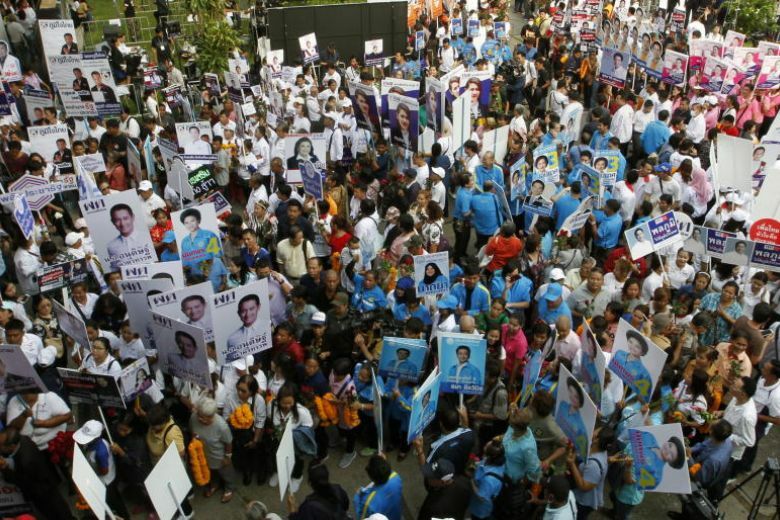 Political parties are registering a record number of candidates ahead of the first general election in Thailand since a coup in 2014. More than 6,400 people from 60 political parties deposited their details with the Election Commission on Monday and Tuesday, the first two days of a five-day registration period. The number of parliamentary candidates is already more than triple that of the 2011 election. “The high number shows the excitement for political participation,” said Jaroongwit Phumma, secretary-general of the commission. Another reason for the surge may be the military-backed charter, which includes an element of proportional representation that some observers argue benefits smaller parties over established players like Pheu Thai and the Democrat Party. “Parties are breaking into smaller factions to take advantage of the system,” said Punchada Sirivunnabood, political science associate professor at Mahidol University. Former army chief Prayuth Chan-Ocha, the current prime minister, seized power in 2014 after a period of prolonged unrest. The intervention unseated a Pheu Thai-led administration headed by Yingluck Shinawatra, sister of exiled ex-premier Thaksin Shinawatra. 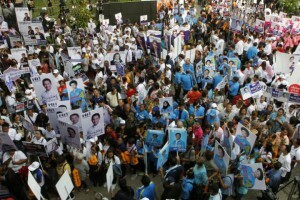 Thaksin or his allies have won every election dating back to 2001, only to be dislodged by the courts or the military. The March 24 vote puts the focus back on political risk in a country with a history of polls followed by demonstrations and coups.